I have a big, BIG space in my heart for the Wharf. I get why it is seen as so “tourist-y”… because it is. But there is also so much more to it. So much that people overlook. SO MUCH FUN TO BE HAD. No, I’m not kidding. You are doing yourself a disservice if you live in SF and haven’t treated yourself to a day at the actual bay. Are you looking for a family-friendly Wharf experience? Follow this fun-filled itinerary to give the kiddos a trip that they will never forget. Get the inside scoop on just a few of the many options where your kids can stay, play, get their adventure on, and of course snap some great photos to send to their friends back home. 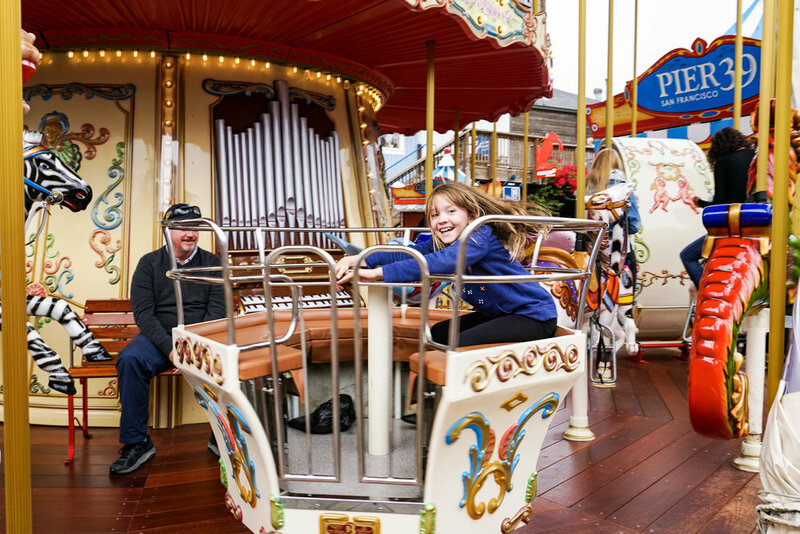 These attractions and shops along Fisherman’s Wharf and at PIER 39 are sure to be the highlight of your family vacation, for both you and your little ones! Rest assured, this short list is 100% kid-approved because it was created by Cora, an 8-year-old from Carlsbad, California. Land lovers need not apply! This itinerary is for seafaring boat-lovers and nautical history buffs. Sailors, captains, and first-mates climb aboard for a day of marine merriment. 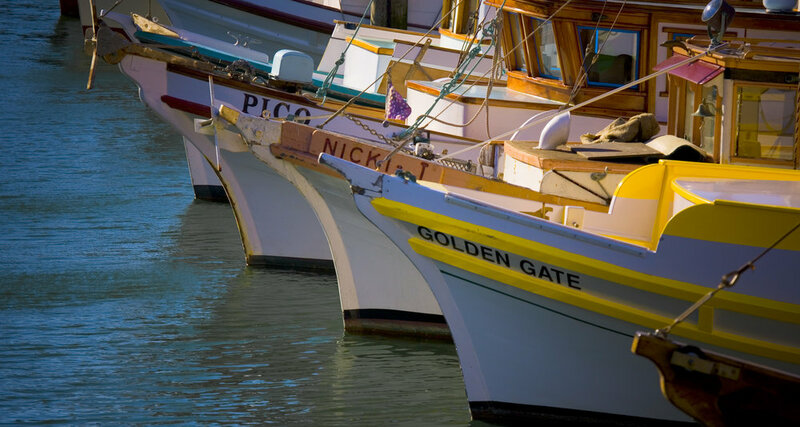 Uncover the rich nautical heritage of Fisherman’s Wharf. Does Fisherman’s Wharf may make you think of lollygagging tourists, street performers, and chain restaurants? That’s fair; it’s to be expected actually, because Fisherman’s Wharf has huge helpings of all of those. What you may not realize though is that it also has tons of great things that make it worth a visit for even the most jaded of locals. Take this art walk and gallery-hop and enjoy the artistic highlights of the Fisherman’s Wharf neighborhood. Enjoy museum-like art galleries filled with painting, sculpture, and mixed-media arts, street performances, and public art. Don’t forget to get a caricature drawn and snap a few artistic photos of the scenic Bay views. Do you have a new flame and you want to impress them with a date idea more unique than the boring old after work drink or dinner and a movie? Are you and your better half looking for the best spots in San Francisco to celebrate your love? Pick and choose a few date spots along this romantic route throughout the City’s most iconic neighborhood, Fisherman’s Wharf. From classic Bay-view restaurants to a ride on the cable car, love is in the air at the Wharf!